When you’re getting in shape, the final 5lbs can seem the hardest to lose. Here’s how running can help you. Losing weight isn’t easy, but it’s not difficult either. Ultimately, losing weight and getting leaner is about numbers: calories in vs calories out. Which is good news for us runners! If creating a calorie deficit is key to weight loss, then being a runner stands us in good stead. Running is a valuable tool, helping us expend more energy to keep burning fat. But how exactly can running help us lose those pesky final pounds? 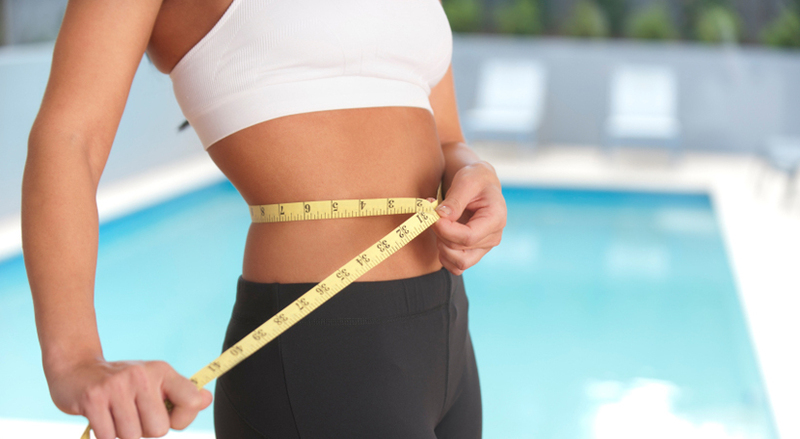 Although the numbers involved in weight loss aren’t specific, it is generally accepted that you need a 3,500 calorie deficit to lose 1lb of body fat. A deficit can come from taking in fewer calories (from what you eat and/or drink), or from expending more calories (from running and other exercise, as well as everyday activities). Or you could create the deficit by combining the two: a little less calories “in” and a little more calories “out”. Running helps with the calories “out”. How Many Calories Can You Really Burn From Running? There are a few factors which affect how many calories you burn running. How efficient you are, what pace you run at, and your intensity. But the main factor is your own body size and mass. To spare you mind-numbing calculations, let’s assume that most women runners will burn between 70-100 calories for every mile you run. Let’s say you want to create an extra calorie deficit of 3,500 per week. If you did that through running alone, you’d need to run roughly 35 miles in a week. Or you could make one or two small changes to your eating habits, and trim 150 calories per day from your typical intake (think how easy that could be!) This would add up to just over 1000 calories less over the week. You could then blast the remaining 2,500 calories through running 25 miles – which is doable unless you’re a beginner runner (or injured). There are plenty of ways to boost the amount of calories you burn through running. Here are 5 you can try this week. See how they help you break through that final weight loss plateau. Pace, intensity, and the terrain you run on can boost the amount of energy your body expends. If you’ve been running for a while, break out from your regular pace and running routes. Any change in intensity will have an effect. Try fartlek, sprints, hills, incline, or off road running. If you run on a treadmill, tinker with the incline. You will burn around 10% more for each 1% of incline, so running at 5% incline burns around 50% more than the same run on the flat. Interval training will burn more calories than steady-state, but it will also have a positive effect on your fitness, meaning you are likely to burn more calories during day to day life. As we age, we lose lean muscle mass. Help you body hang on to this metabolically active tissue by doing resistance training. Weights, free weights, body weight exercises, or circuits will all do the job. Use hills during your outdoor runs. Either do hill reps, or simply tackle some hills and inclines as part of your running route. The incline will burn extra calories, and the hill will tone your legs and bum to help you maintain muscle mass.